"THIRTEEN," which has its West Coast Premiere June 8 at 5:00 p.m. at the world famous TCL Chinese Theatre at Dances With Films. 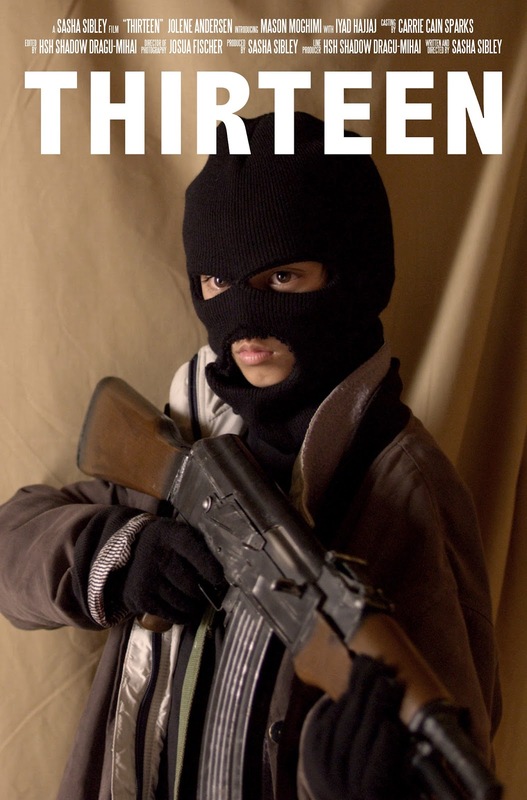 "THIRTEEN" is a short film by 19 year-ld filmmaker Sasha Sibley, a film student at Loyola Marymount University, about a female CIA operative who is captured by ISIS and between being tortured and interrogated, finds herself in a tent alone with a 13 year-old ISIS militant who changes her perspective. 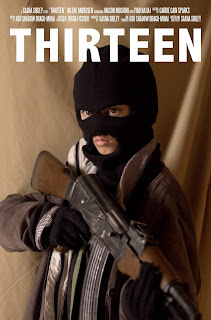 "Thirteen" is a film that takes place entirely within the confines of a military tent on the front-lines of a battle between ISIS and the Kurds. At the outset of the film, a female U.S. operative named Silvia (Jolene Andersen) is being waterboarded by Mubarak (Iyad Hajjaj), an ISIS military leader who is attempting to get intel from her. He continues to torture her, but she refuses to succumb to the pain, spitting in his face and taunting him. Ultimately, Mubarak is forced to prematurely finish the interrogation process when one of his men enters the tent and informs him that he is needed on the battlefield. He takes all of his men with him, leaving behind one small masked figure to guard Silvia. She quickly realizes this figure (wielding a gun that is nearly his own size) is a child of only thirteen years-old. His name is Musa (Mason Moghimi), and we soon learn that he has joined the militants in the hopes of seeking revenge on the Americans who killed his family. For this reason, he despises Silvia and everything she represents. They get into a fiery argument, as she tries to convince him that he's on the wrong side, but when he reveals his past, she begins to understand. Soon her maternal instincts begin to kick in as she tries to save him at all costs. As the tide begins to turn in the battle outside, Silvia realizes she must convince Musa to escape.